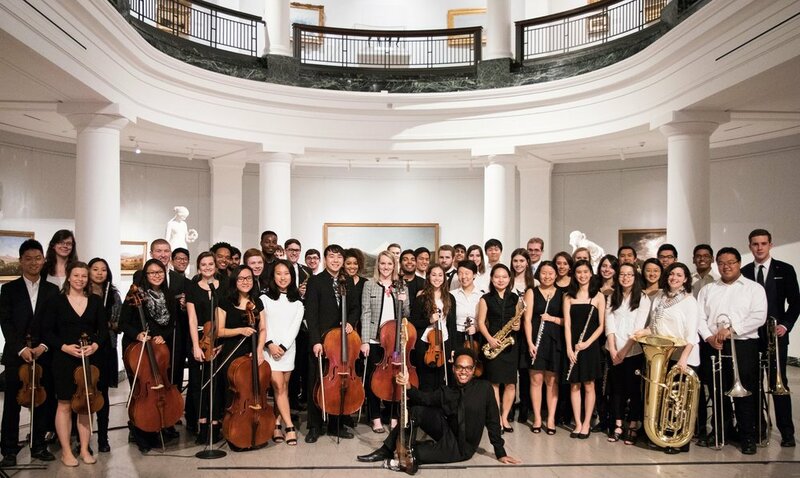 The Small Ensembles concert musicians, in the University of Michigan Museum of Art. Michigan Pops Small Ensembles is an entity of the Michigan Pops Orchestra that gives our musicians the opportunity to form and join ensembles that play at venues around campus! Each semester we have a FREE concert which exhibits our ensembles to family and friends, AND gives our audience members an opportunity to buy Michigan Pops Orchestra concert tickets! This concert will serve as a nice study break from exams with FREE food and FRESH entertainment! This semester's concert will be after our regular concert, and it is Saturday, December 1st, 2018 from 2-3:30pm in the Hussey Room of the Michigan League. The event will be hosted by the Small Ensembles Director, Lydia Peters. For more information please email her at, lydiafp@umich.edu.